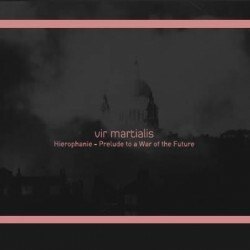 Rage in Eden present the more recent work of Vir Martialis under the name of "Hierophanie - Prelude to a war of the Future-" . 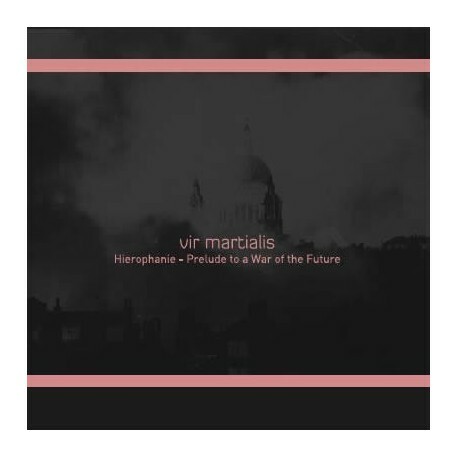 This work focused on the sacred, has 11 tracks and more than 45 minutes of pure Industrial Martial music, with a great orchestration and overwhelming forcefulness, Vir Martialis presents complex compositions, epic and evocative of virtues, in this work the spirit of the Vir (Hero) is manifiest more than ever. Barbarossa Umtrunk prints his mystical sign with his collaboration and the German neofolk group Karma Marata gives voice to a powerful track. "In imitating the exemplary acts of a god or of a mythic hero, or simply by recounting their adventures, the man of an archaic society detaches himself from profane time and magically re-enters the Great Time, the sacred time." Mircea Eliade.